The local identity is enhanced by choosing and highlighting the existing qualities through the creation of urban generators. 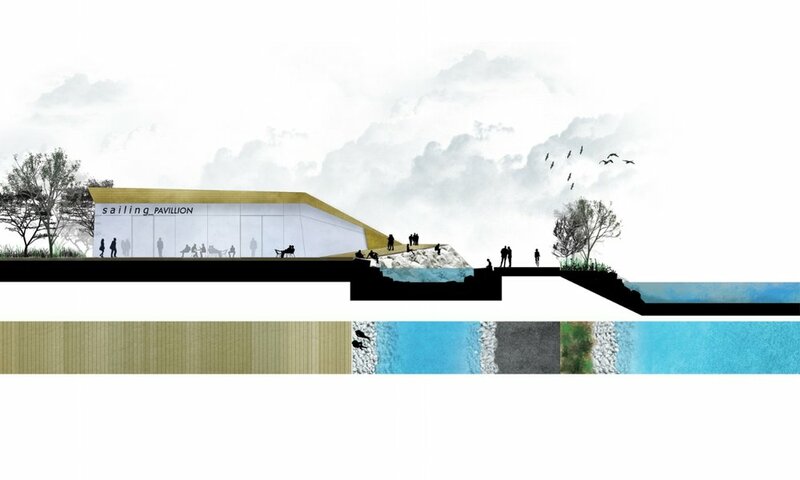 The development in the port uses a thematic parcours, valorizing the existing visual axes. The market: Pavilions made of wooden structure and glass and an open-air plaza can host a multitude of uses, such as markets (fruits, fish, flowers), Christmas bazaar, or simply as rest areas during the promenade. The food: Tradition in gastronomy and a support to the local products is enhanced through the creation of a restaurant with greenhouse. The wind: Wind is essential for sailing and also a symbol of new sustainable energy sources. In this garden, the landscape is formed with plants receptive to wind and a wind-sculpture open air installation. 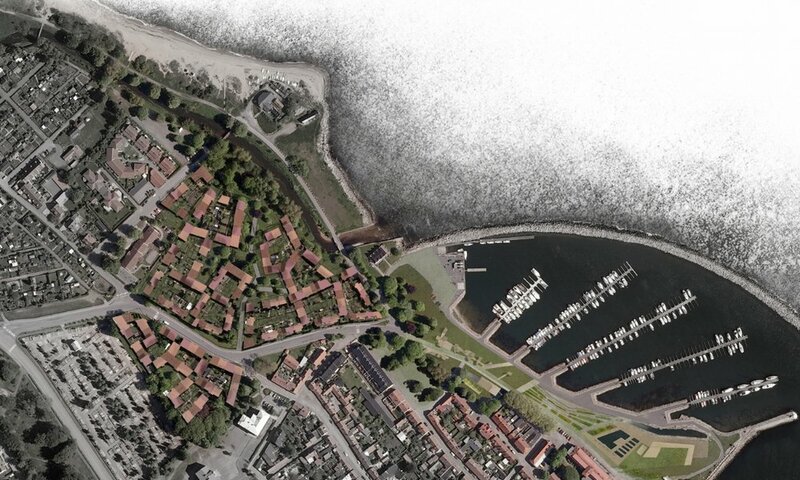 The new housing complex next to the river is reinterpreting the qualities of the city of Simrishamn.The density, the proportions between open space and buildings, as well as the continuous front towards the street are qualities that give Simrishamn its identity and are reviewed in the proposal. The site proposed for residential use has a great amount of trees. One of the main concerns is to respect the existing vegetation and develop the housing units in harmony with the environment. 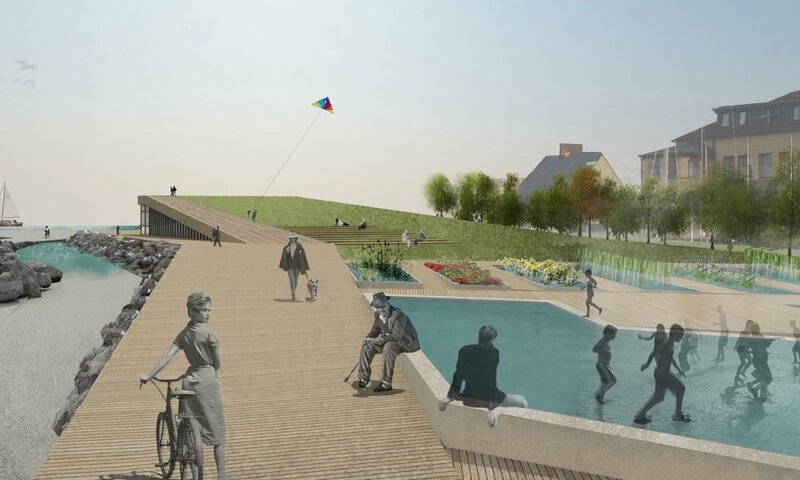 The river is equally important as it dictates a landscaping in respect to its flooding. The ground floor of the houses is thus elevated to +3.50 m. The residencies follow a solar orientation. The surface of north facades is maximized, by rotation of the housing front and a respective increase in heights. The complex handles qualities that offer a transition from private to public spaces. Each housing unit is developed on a space articulation that consists of closed private spaces of the house, a wintergarden, open-air spaces such as balconies or private courtyard. A courtyard inside the core of each “cell” is designed for use among the residents. This common space promotes the socialization and contributes to the formation of a neighborhood. Ten different typologies are found among the housing units, varying in area and floors. The type of residents is expected to vary also: from all year residents to people owning a summer house or people visiting for tourism.